My daughter had a playdate today, and my son was so sad that she was gone. 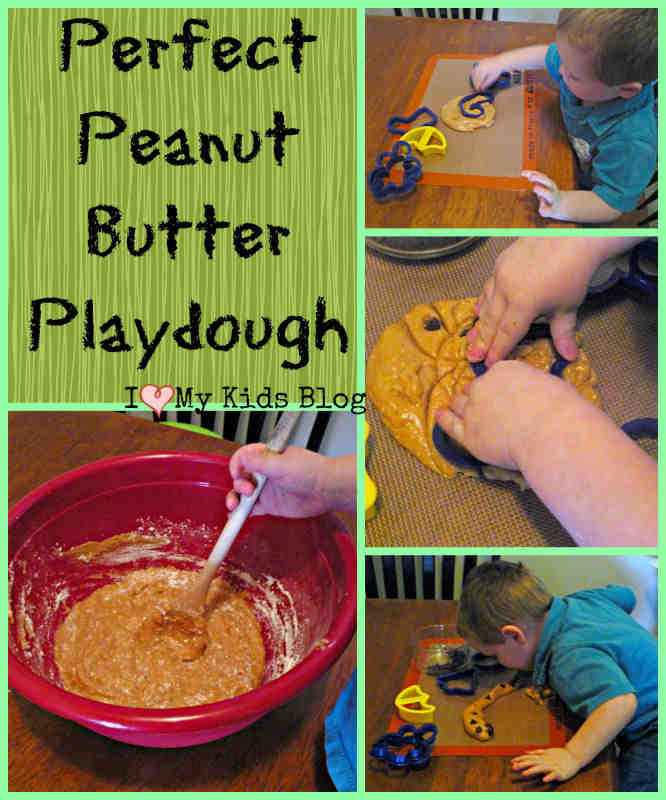 He moped around for a little while, and I decided to whip up one of my favorite snacks/crafts from when I was little: Peanut Butter Playdough! 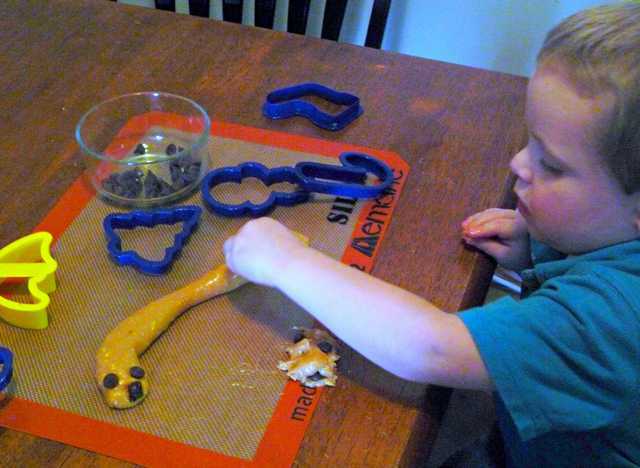 Not only is peanut butter playdough fun to play with and fun to eat, but my son could help me make it. My kids love getting to create and play in the kitchen! 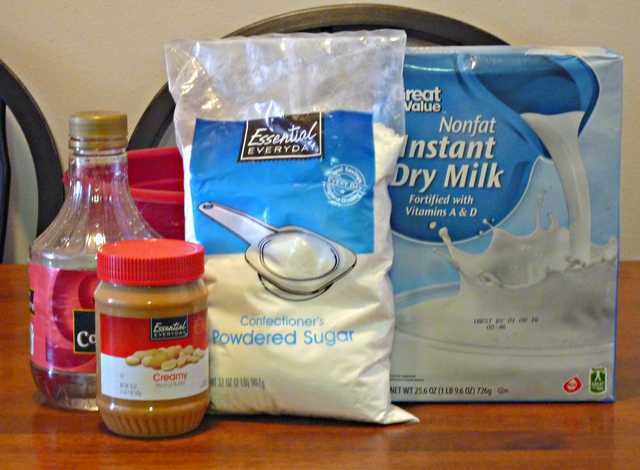 I know that there are lots and lots of peanut butter playdough recipes on the internet, but this is a special recipe that I got from my Kindergarten teacher years and years ago. 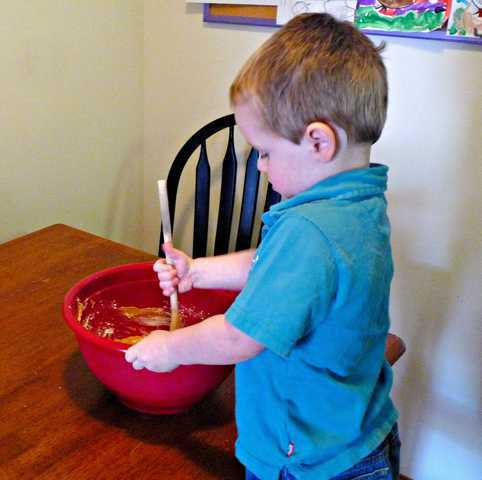 I had a handsome little helper to stir the mixture. The playdough is somewhat grainy, at first. 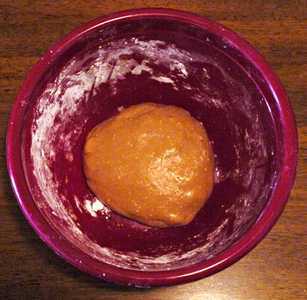 After the mixture is combined, I knead it for a few minutes to help it get a smoother texture. Next, I refrigerate for 20-30 minutes. This step is not required, but I find that the dough is better to mold and play with, after a little refrigeration. 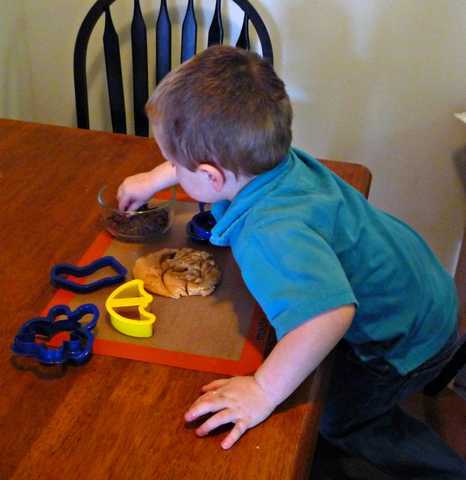 I gave my son a large ball of dough and let him play and explore (and eat of course). He asked me again and again if he could really eat it. I would recommend putting out a mat or parchment paper to play on. We are a little low on snacks at the moment, but I did have some chocolate chips for him to play with. Marshmallows, pretzels, and small crackers or cookies would also be fun to play with. My son played for about 20 minutes, before he decided he just wanted to eat the playdough. It was a great afternoon activity! 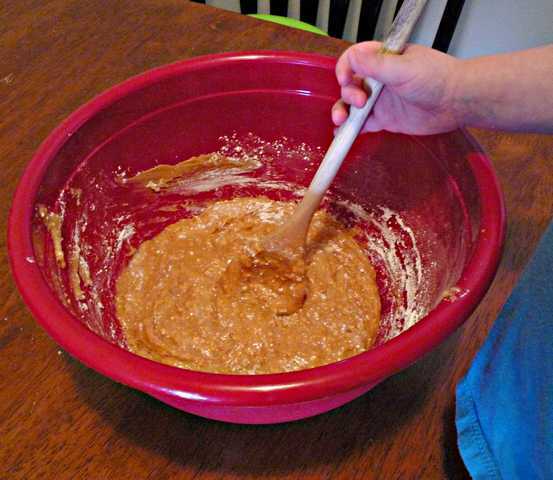 This recipe makes quite a bit of dough, and it refrigerates beautifully, so I would recommend only using what you need and refrigerating the rest to play with another day (or to eat during nap time). I won’t judge. Enjoy!